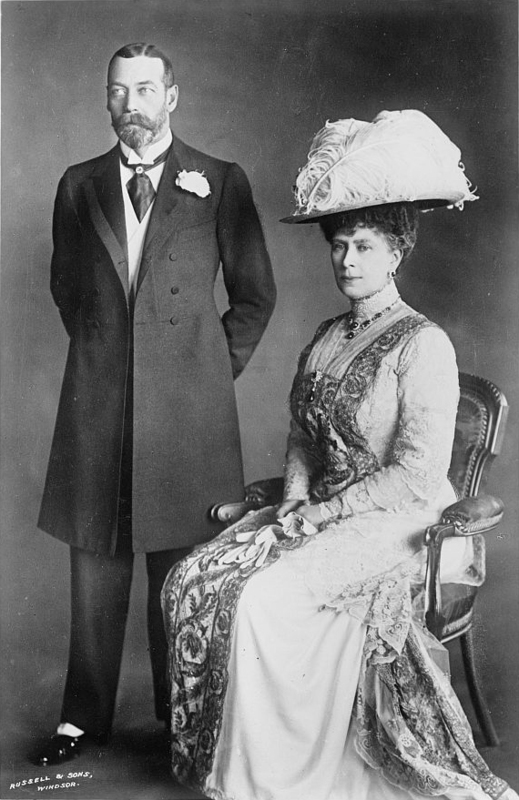 Any novel, movie or TV series about the British aristocracy in the early 1900s never fails to emphasize the tremendous loyalty displayed by the servant classes for their masters. 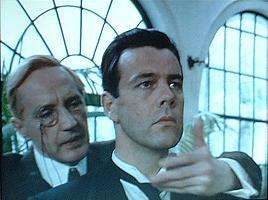 And particularly the devotion of butlers and valets. For single men about town their valets also performed the task of butlering. They styled themselves as gentleman’s gentleman. In larger establishments and country houses the master of the house usually had a butler and a valet, though some butlers also valeted their masters. Without his gentleman’s gentleman, Jeeves, Bertie Wooster’s life would be a mess. In P.G. 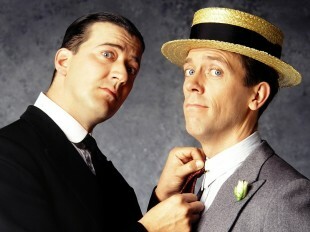 Wodehouse’s delightful stories Jeeves shows his devotion to Bertie by doing his thinking for him. Carson: I couldn’t work for a man that I don’t respect. And I certainly couldn’t leave Downton for him. 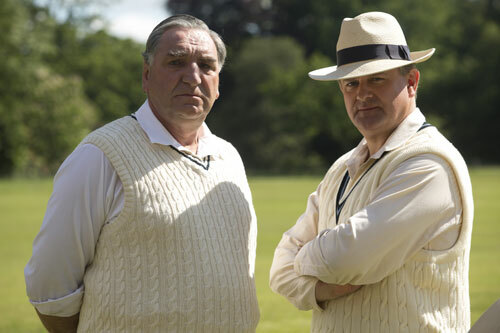 Lord Grantham: I shall take that as a compliment. For myself and for my house. I searched for a manservant who did not offer the sort of slavish loyalty that butlers of fiction seem to provide, but treated the job as just that; a means of earning a living without being a cringing toady, and here he is. 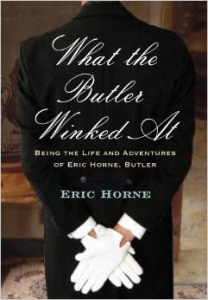 Eric Horne was butlering at the end of the 19th century well into the 20th and he wrote a wonderful book called What the Butler Winked At from his private diary when he retired. Eric saw it all: indiscretions, infidelities, eccentricities, the penny-pinching of the exceedingly rich toward the people who looked after their welfare, drunken cooks, the tremendous snobbery that existed between upper and lower servants,. He remained unimpressed – especially by the gentry, and rarely kept a post for longer than two years. Eric enjoyed change. He was intelligent and understood the personal service business so well he had his pick of butlering jobs. One of the most interesting was a seven month stint to a fabulously rich Indian Prince, a close friend of George V. Eric found the Prince to be a man of splendid disposition ‘sharp as a needle with intelligence that far surpassed that of any Englishman’ he had met. He set up the Prince’s large London establishment in a West End mansion rented for the Season where the Prince entertained society on lavish scale and, on the QT, a stream of pretty actresses. During the shooting month of August the Prince rented a substantial castle in Scotland and Eric was there to ensure smooth sailing for the many guests. There was a railway strike and the scotch ran out, but this problem was solved instantly by Eric who had befriended a local merchant. As the castle’s major domo Eric chose the menu for twelve course dinners and played his violin during the meal. Haggis as well as fresh local oysters were to be served at every dinner, by order of the Prince, and Eric had to nursemaid a guest who won a competition to see how many oysters he could eat washed down with a jeroboam of champagne. 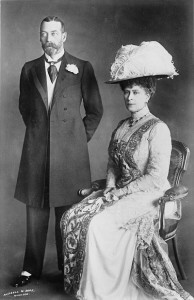 Toward the end of his stay the Prince received phone call from Balmoral that the King and Queen would be motoring over to visit him the day before he returned to London. All preparations were made for a sumptuous luncheon, but there was no sign of the royal party or word from Balmoral. The Prince was mystified but too polite to telephone to find out what had happened. He departed the following morning leaving Eric to pack up the house before taking the train down to London. And of course there had been a mix-up in dates and at lunch time the King and Queen arrived and it was up to Eric to entertain them. 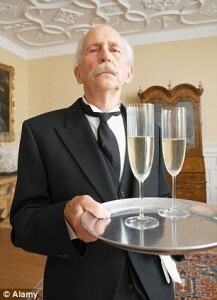 He made the old Scottish castle as welcoming as he could; his skills as the perfect butler made him an admirable host. He conducted the royal couple around the principal rooms of the castle, with a little potted history to go with. Gave them a delicious luncheon put together from an emergency picnic, and discussed the season’s grouse coverts with the King. He might have given them a tune or two on his violin!